Metatron is the Highest Guiding Vibration in the Universe. He is the over seeing vibration of all light and all life that exists within the Universal Spheres and has a very close affinity to mankind as he assists us at this time of planetary Ascension and the raising of consciousness of all life on the planet. There is no Higher Resonance. Life is ever changing and evolving even if we are not aware of this process. Metatron Lights the way to our very soul. He works through Divine, Sacred Geometric Coding/Diamond Crystalline Vibration. He is an eternal source of Divine Energy flow, linking us consciously and physically to the continuous flow of the Eternal One True Light that exists within and around the cosmos. This is the knowledge and understanding that will free mankind and bring us back to our true, divine state. These are the key ingredients that Metatron guides us to use in order to connect to Him without any barriers. If we ask him to assist us, our part in this is to participate fully with all our heart, mind and soul and to trust the process. Trust is key. If we allow this we will experience major transformational changes. His job is to bring humanity to the highest possible frequency. He knows everyones original blueprint, our true essence and nature. Our part is to trust in this process, as some parts on this journey may be uncomfortable to experience. It is all part of the Divine opening and transformation into the Light. He is able to reset you and align you to your true state of being. 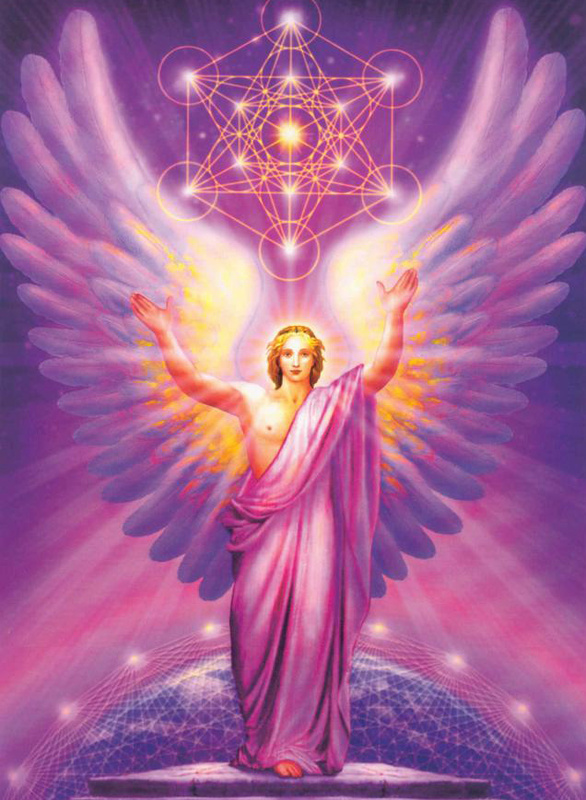 Metatron may be visualised as having an Angelic appearance or just as the awesome vibration that he is. His true form is that of the highest, purest Light coding and vibratory form. Metatron will work with each Divine human soul so uniquely, so diligently and so honourably. Your part in this process is to honour the connection as it is opened before you. ARE YOU OPEN AND READY TO RECEIVE? IF SO, THEN THE MOST MAGICAL AND TRANSFORMATIONAL JOURNEY AWAITS YOU.